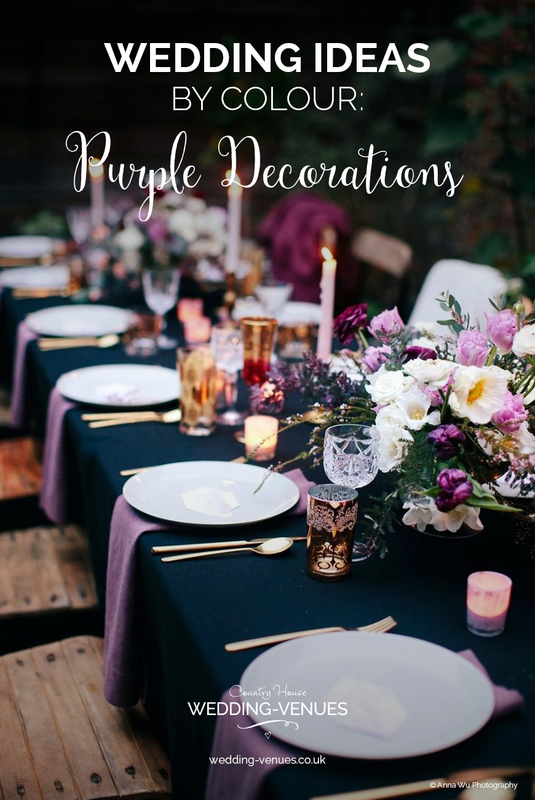 You’ll love this selection of purple wedding decorations, from beautiful flowers to elegant décor, prepare to be inspired! 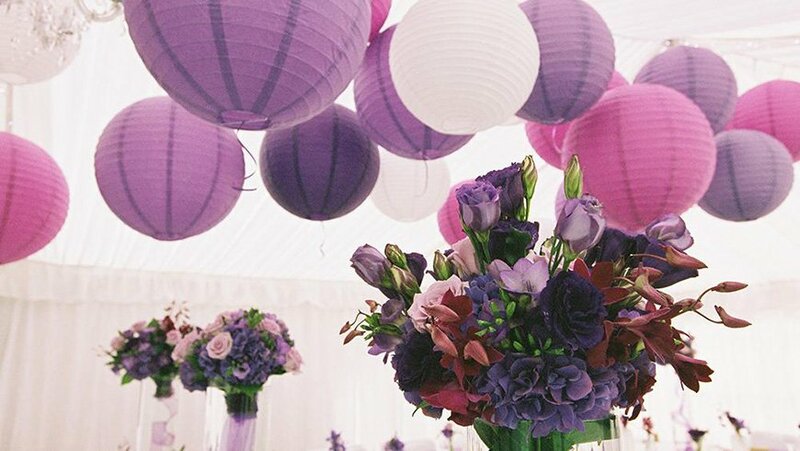 Purple is undoubtedly one of our favourite wedding colours. Deep shades are fabulous in the winter, combining beautifully with metallics as well as natural greens. During summer months, choose softer shades and pair with white, ivory or silver. 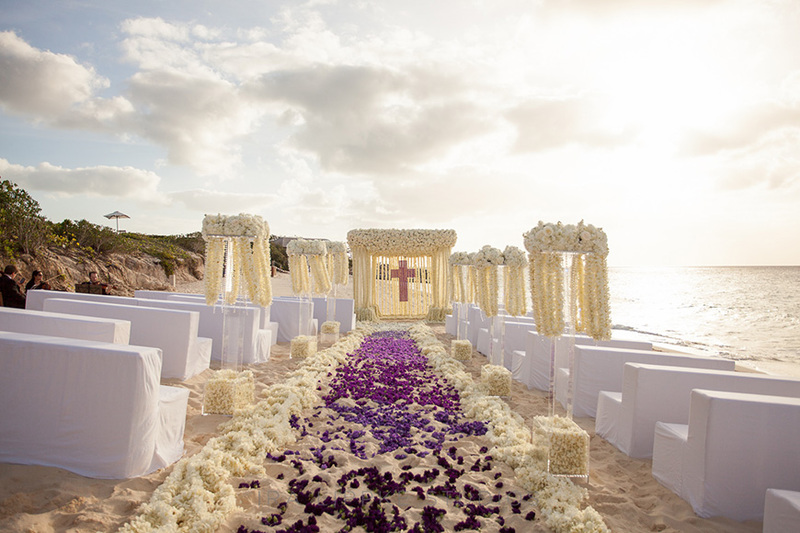 Let’s take a look at some inspirational purple wedding ideas. 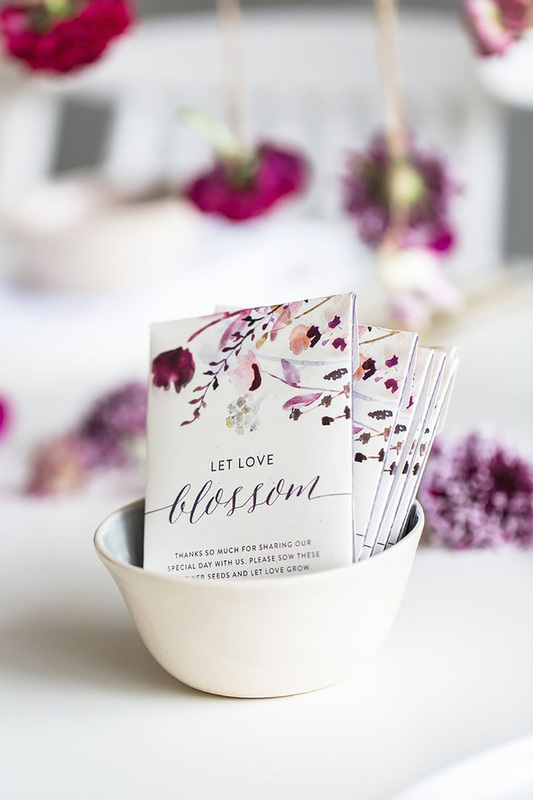 Introduce your colour theme from the very beginning, bringing the shade in to your invitations and ceremony space. 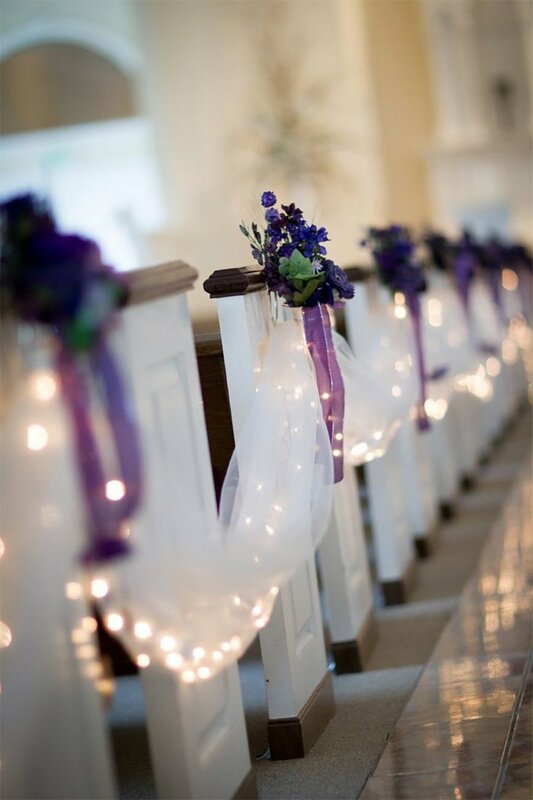 Simple ribbon and delicate purple blooms line this aisle. 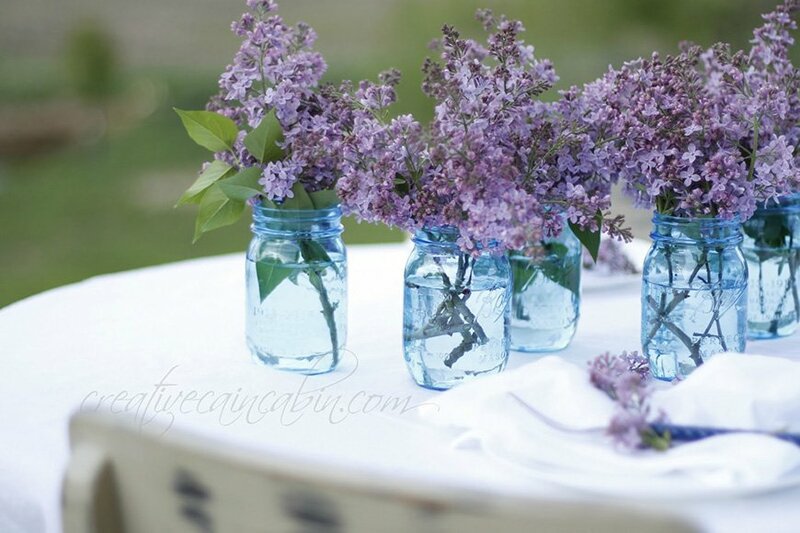 For a summer or spring wedding, line the aisle with flowers in glass jars, creating that ‘just picked’ look. 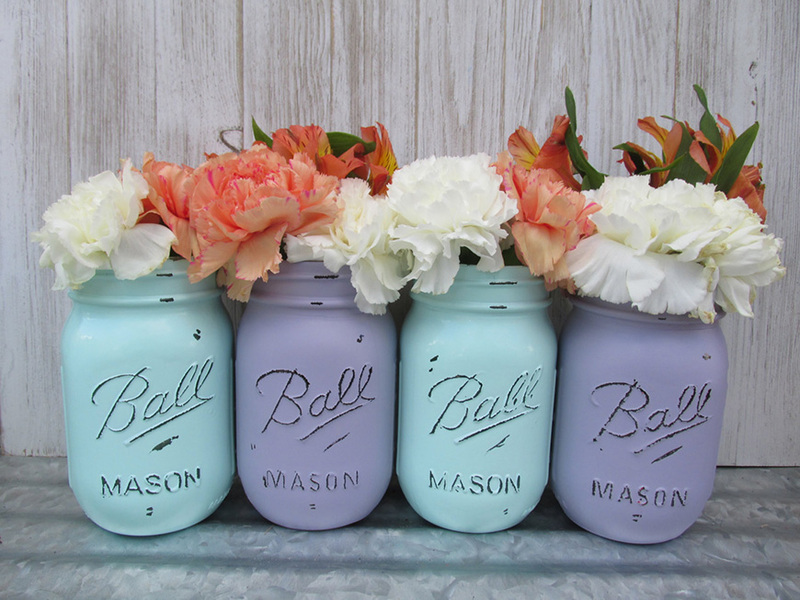 We love these pretty lanterns. 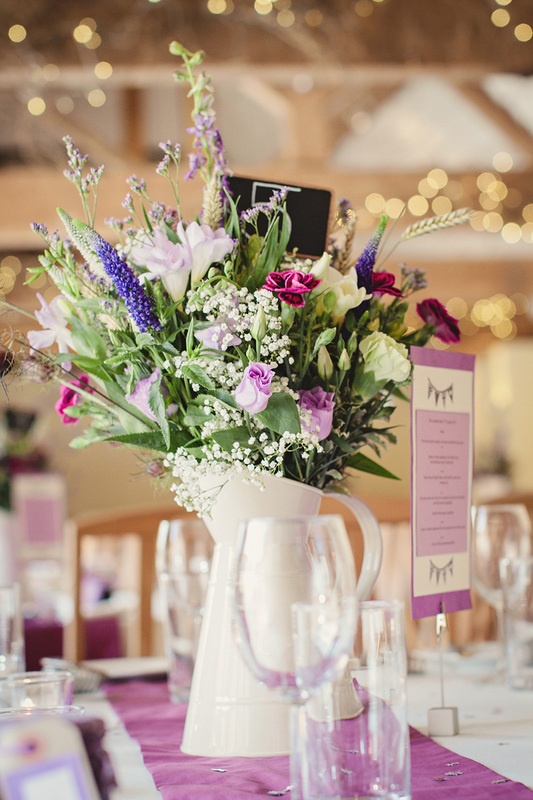 Fresh petals suit the purple theme at this summer wedding. 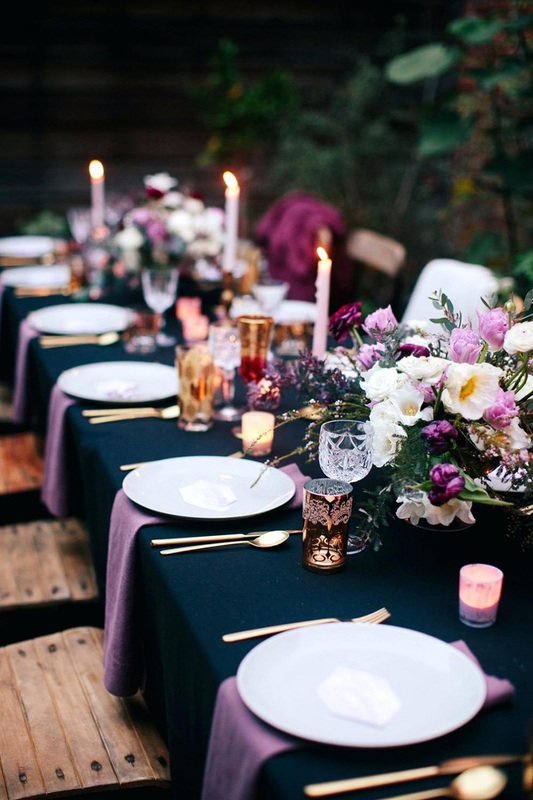 When it comes to your reception venue, set the scene with purple wedding decorations, from purple linen to elegant details. Be aware that this is a relatively bold colour so need only be used sparingly. 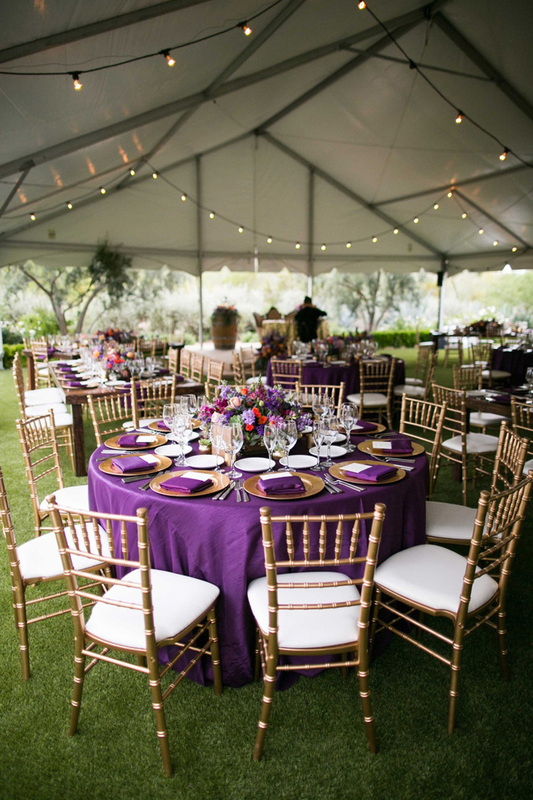 For a winter celebration, deep purple linen looks dramatic with gold chairs. Of course, you might also introduce colour in to your menu with fun cocktails. 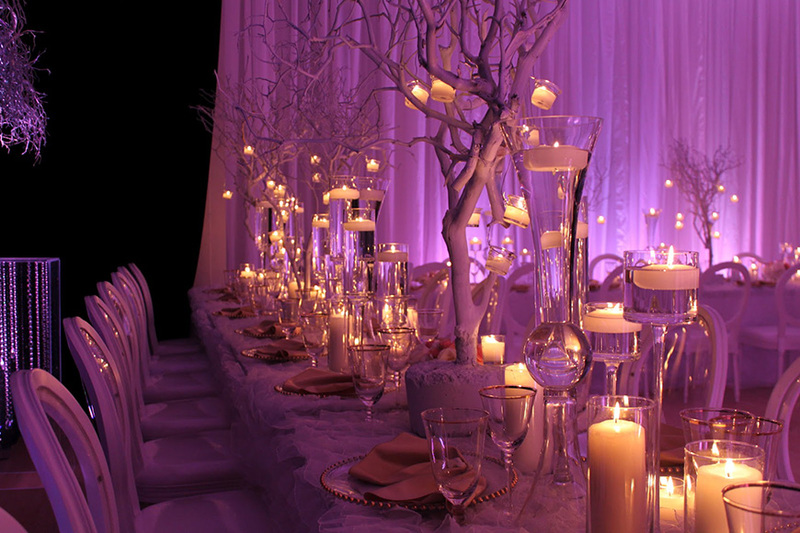 Well planned lighting can create a fabulous ambience. Why not give your room a purple glow? Adding interest from above is a great idea if you have a tall ceiling. 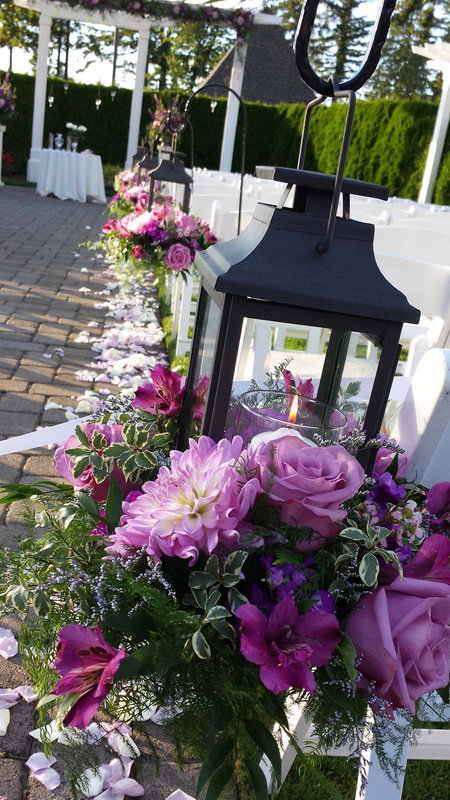 These purple lanterns really make an impact. 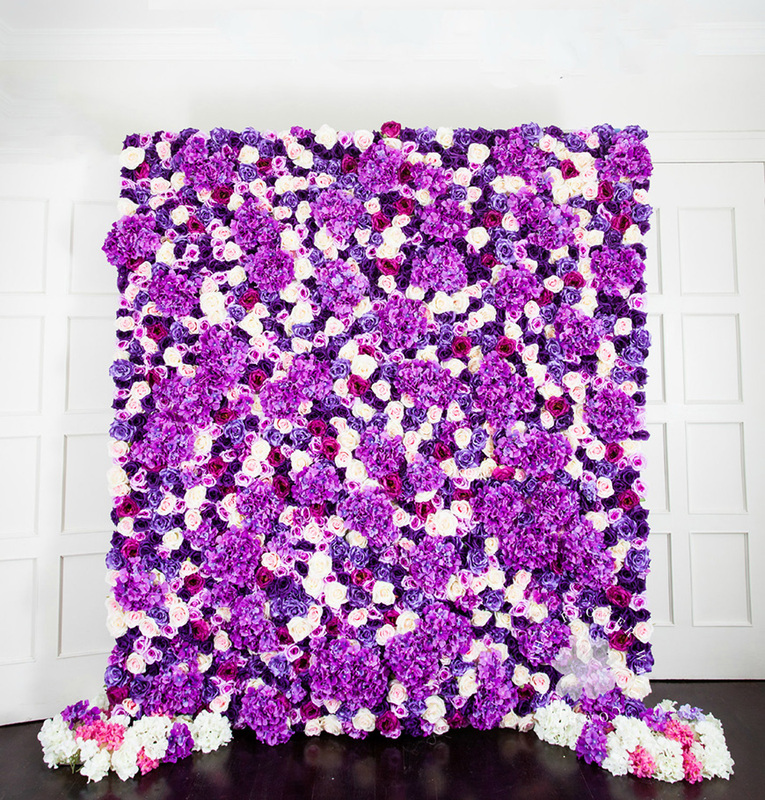 How about a fabulous backdrop for photographs?! Midnight blue and purple are a dream combination at any time of year. 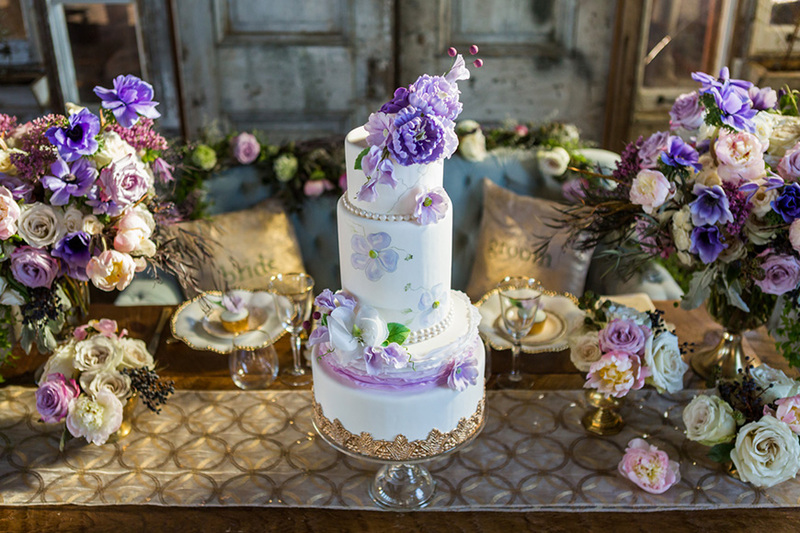 The wedding cake is a great blank canvas upon which to impart your chosen style and colour. 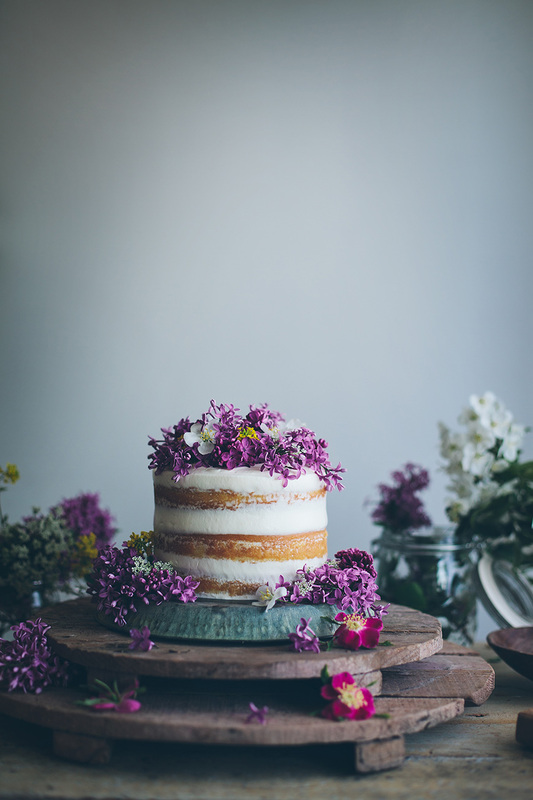 This hand-painted floral cake is just the thing for a spring wedding. 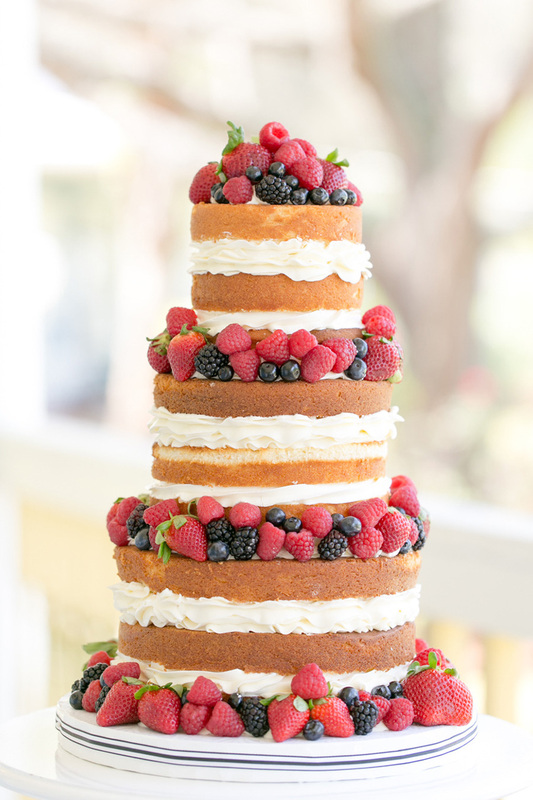 Berries introduce purple in to the fashionable naked cake. For a more traditional look, adorn your cake with fresh blooms. 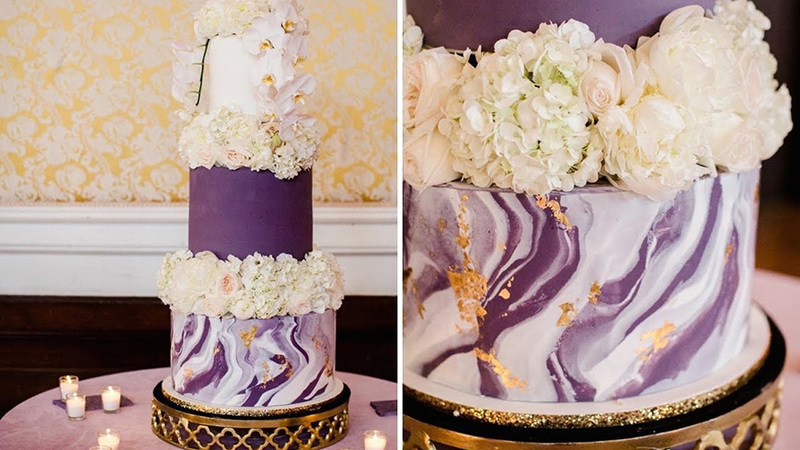 This design is a stunning choice for a winter wedding with the addition of an on-trend marble tier. 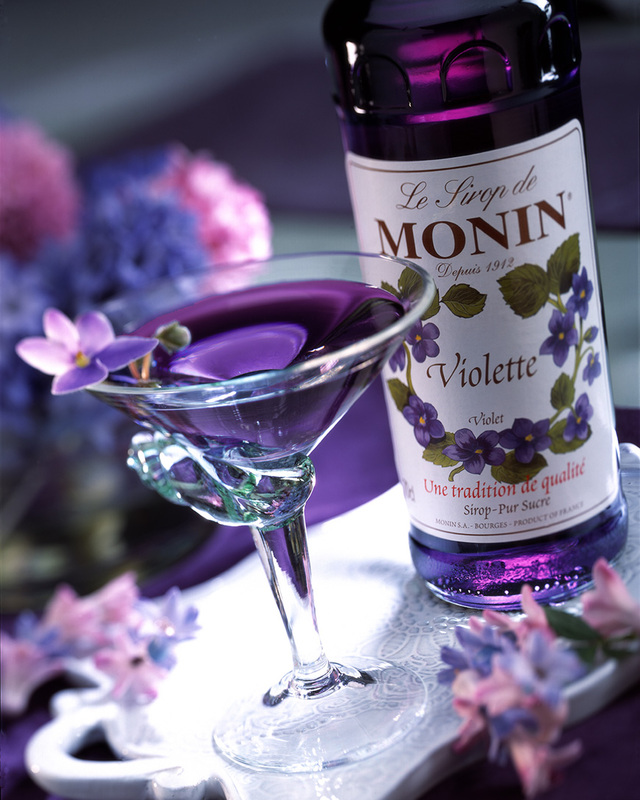 Nature is on your side when it comes to purple, offering an abundance of beautiful purple and lilac flowers. 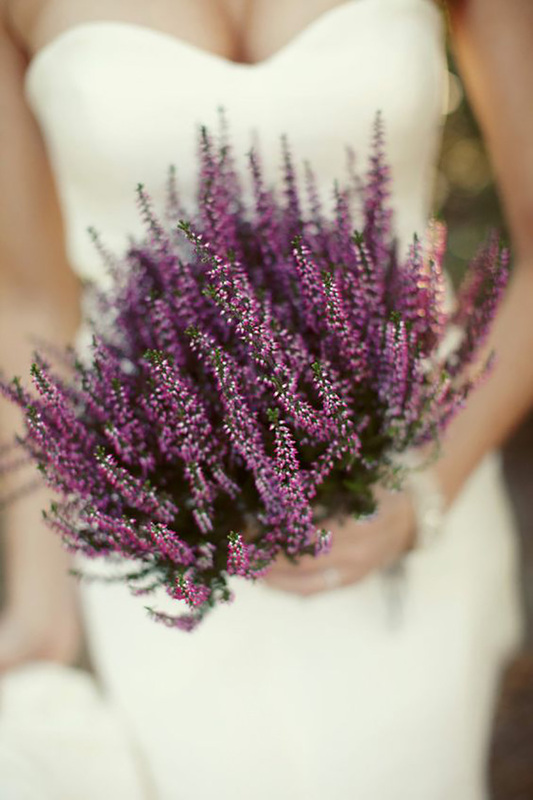 Heather is a great choice for a highland wedding! Jugs make great vases for country weddings. 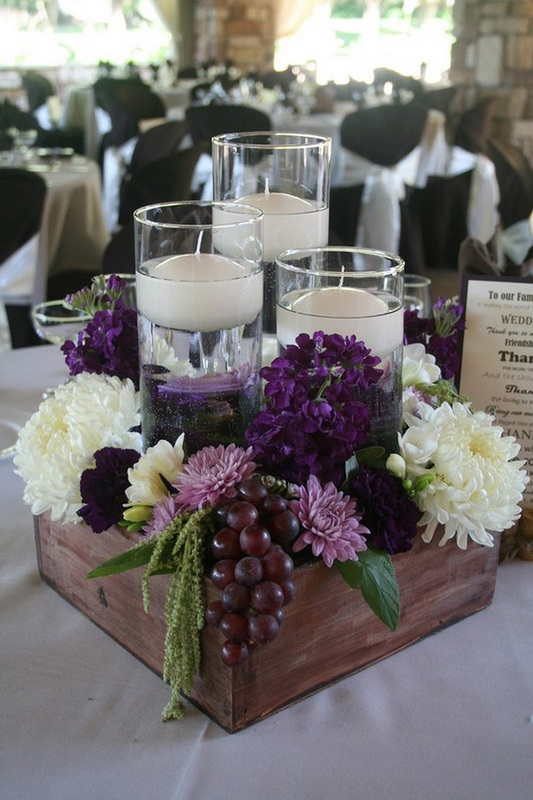 As an alternative option, stick to white flowers but use purple vases. This mix of purple, lilac and blue is a lovely spring or summer choice. Flowers should always be placed where your guests will see and appreciate them. 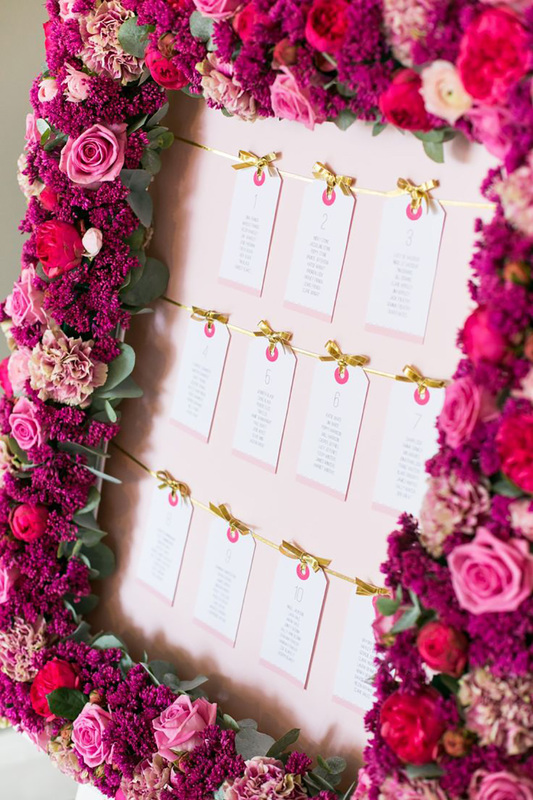 We love this floral framed seating plan. Why not introduce fruit to your arrangements? From cookies to jam, send your guests home with a keepsake. Cadbury purple lends a hand when it comes to this colour scheme. Chocolate is a popular favour. 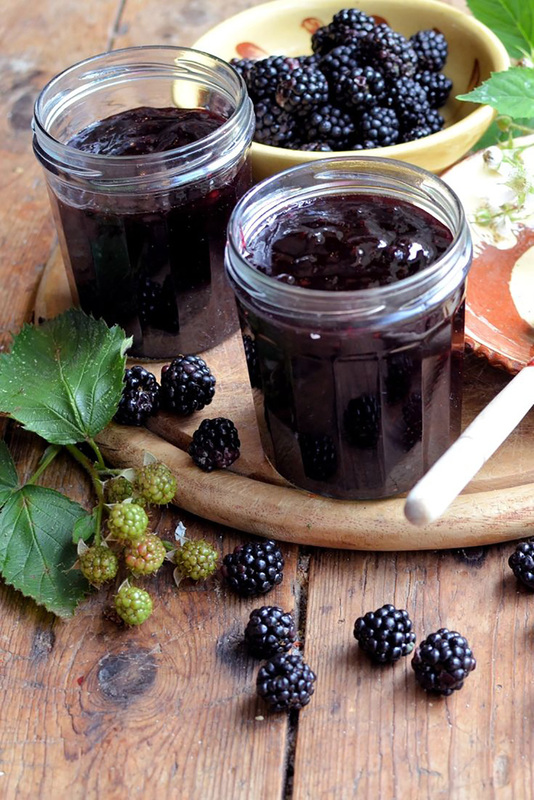 A jar of blackberry jam is a lovely treat, especially if it’s home made. 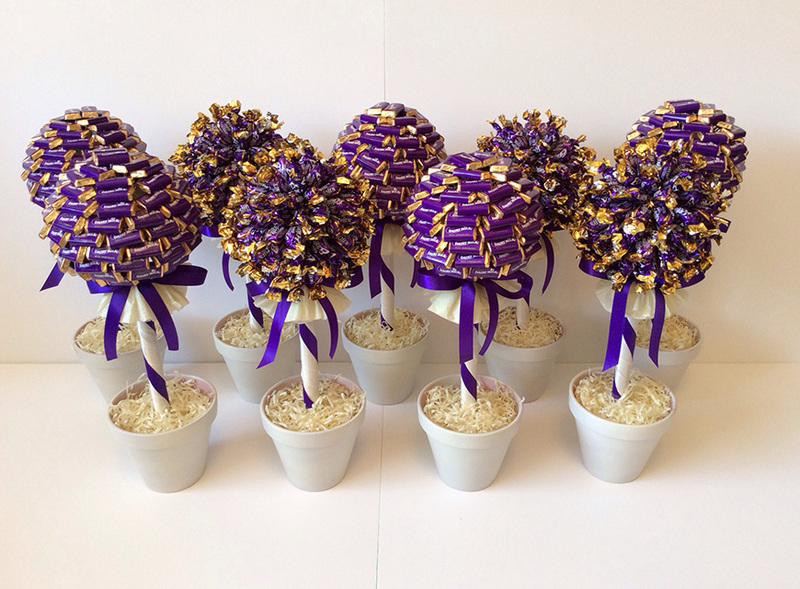 Lavender seeds suit a country celebration. And finally… if you’re feeling inspired, why not carry the colour theme through to your bridesmaid dresses.